Welcome back to another Sweet Talk. I’m excited to introduce you to Nicole from Sweet Temptations by Nicole. I met Nicole through Instagram several months ago and have enjoyed getting to know her. She’s a talented cookie decorator who has an amazing personality, a beautiful family and is a fellow Texan. If we lived closer I know we would totally hang out and be great friends. Welcome Nicole. Hello! Thank you so much for inviting me to share with your readers about myself. 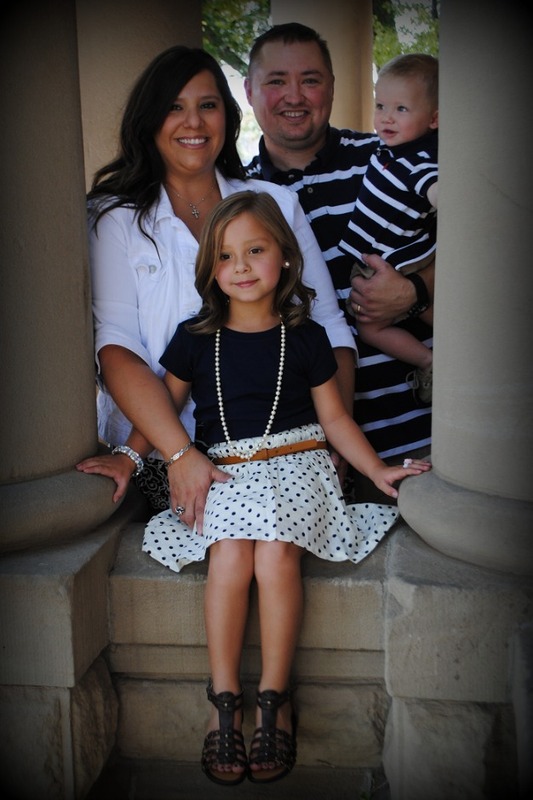 My name is Nicole Smith and I was born, raised and still live in Amarillo, TX with my husband of almost 13 years and our two children: Maddie, who is a 1st grader and will be 7 this fall and Hudson, my “lil’ bitty” as he is nicknamed and he just turned 2 in August. I was a banker for 10 years and became a stay at home mom in 2009. I am a complete and total girly-girl that is distracted by anything that sparkles. Tell me about your name. Why did you choose Sweet Temptations by Nicole? When I decided to launch a Facebook page for my cookies I just couldn’t decide what I wanted my little business to be called. I posted on my personal Facebook page that I was in search of a name, any suggestions were welcomed and I would reward the winner with a dozen cookies. I received a lot of responses but Sweet Temptations struck me more than the others. My sweet friend Amy suggested it, so here I am and she got some margarita glass cookies for a girls night out! I added “by Nicole” so people could easily find me. I have been in the Panhandle of Texas my entire life and I couldn’t imagine living anywhere else. Amarillo is not too big and it’s not too small. It’s just right! Although, I could definitely do without the tornado-like winds that blow here constantly. I would say I probably developed a love for baking when I first got married. I was 20 years old and I had always lived with my parents up to that point. My husband had just started working as a firefighter and all of a sudden I was living in an apartment and spending a lot of time alone due to his 24 hour schedule. I started combing through cookbooks and making any and every sort of dessert I could find to pass my time. (You’ve heard of the Freshman Fifteen, right? That’s nothing compared to the Newlywed Fifty!) I took desserts to my parents, in-laws, co-workers, anyone! I just love the warm, fuzzy feeling you get when you see people enjoy something you’ve made from scratch. I am the Dessert Girl in our family for any get together we have. Is baking a hobby or a business? When I decided to sell, I made sure to find out what I had to do to legitimately do so. I found that Texas did in fact have a Food Cottage law so I familiarized myself with all the aspects of the law, followed them and started selling. 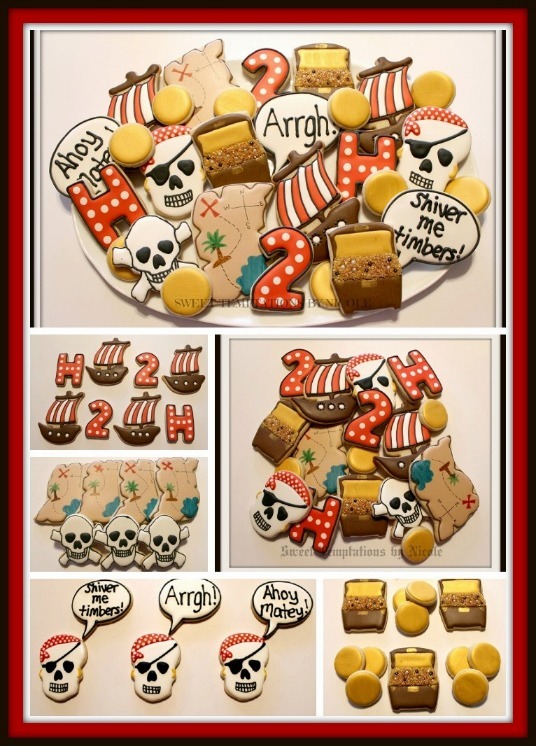 Decorated sugar cookies are now my business and it’s something I absolutely love to do. However, I quickly learned how many orders I can complete a week without it interfering with my family or making me nutty. I recently went back to teaching preschool so I will take very few orders while I balance my family and teaching. 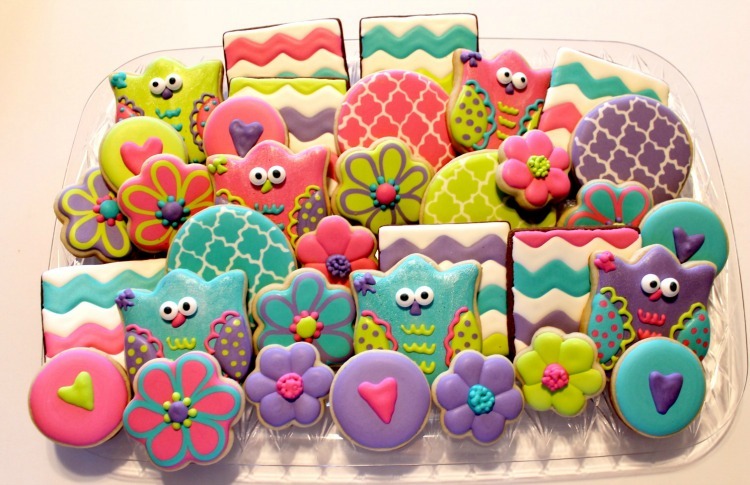 When did you discover your love for decorated cookies? 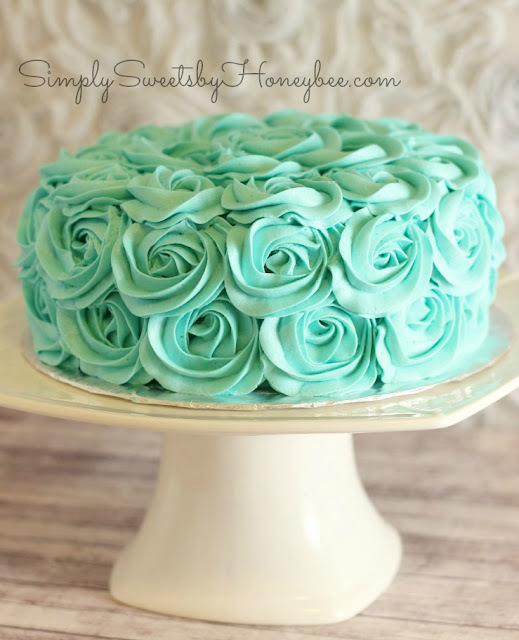 I took cake decorating classes in 2012 and quickly learned that cakes were not my cup of tea. Everything about decorating a cake stresses me out. I wanted to do something where I could utilize what I learned in class but not on a cake. My friend, Cheree, made the most adorable buttercream cookies and every time I saw her post a picture of her latest creation I was just in awe. She moved from Amarillo to South Carolina last year and before she moved we spent a summer baking together. She taught me how she made her cookies and I thought, “Perfect! This is still fun and it’s not a cake!” I found my outlet to be artistic with. I found a sugar cookie recipe, tweaked it until it became my own and made buttercream cookies for a few months. 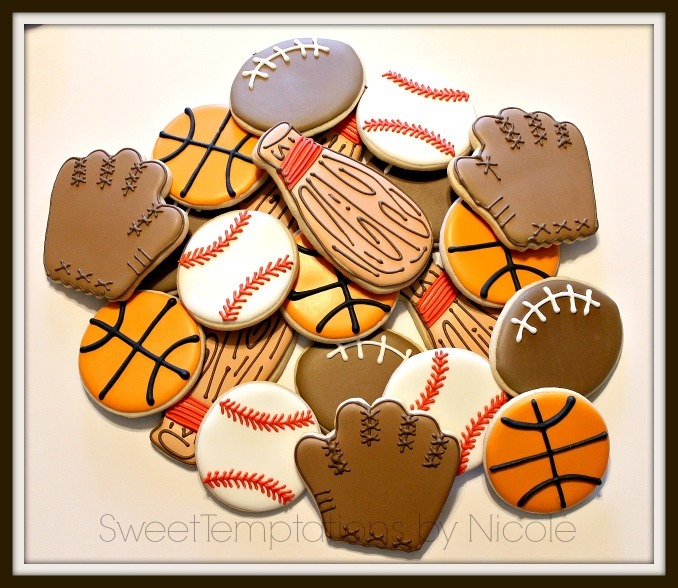 Being a self proclaimed Pinterest addict, I would see pictures of these beautifully decorated cookies and wonder. “How in the world do they do these? ?” So I started reading every blog I could find, watched every YouTube video I could and dove in! I made my first royal icing cookies in November 2012. One dozen took me HOURS but I did it! I find inspiration everywhere! Other cookiers, gift wrap, scrapbook paper and children’s clothing to name a few. I snap pictures of things I see in public all the time that I think would make a cute cookie. I probably have more pictures for potential cookies on my phone than of my own kids! 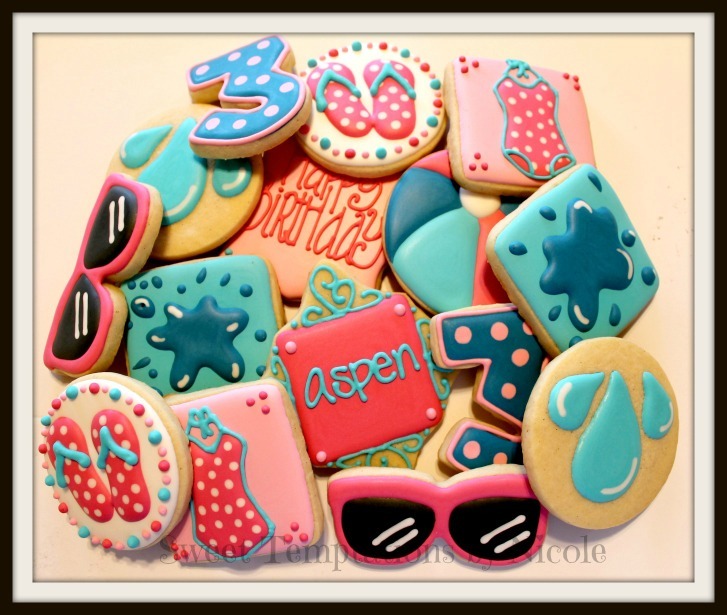 I love to read cookie blogs as well. The very first blogs I ever read were Sugarbelle’s, yours and Cookie Crazie Pam’s. I must have read each post forward and backward several times. What one item in your kitchen can you not live without and why? Most definitely my black 6 qt, KitchenAid mixer. I can’t imagine making anything without it! Her name is Black Betty (from the song by Ram Jam) and at one point I had Bedazzled her. Those who know me know that I will put glitter on anything that will stand still. The dust from the flour and sugar made the rhinestones come off so she no longer has bling on – but that doesn’t mean I won’t try it again. What is on your baking bucket list? I would like to try my hand at making macarons someday. I have never had one before but they look so good! I need to know what I am missing out on! I would also like to attempt airbrushing. I bought an airbrush and all the colors Americolor makes but I still have yet to crack open the box! Soon…very soon. What three words best describe your cookie style/philosophy? I think my cookie style could be described as “Mixed Media.” Sorry, that’s only 2 words. I love putting opposite patterns together but in the same color scheme. I don’t know why my eyes are so drawn to that but I just love it. Aside from cookies and baking what else do you like to do? Hobbies? Let’s have some fun now and do some rapid answer questions. Ready, set, go. Royal. Glaze and I do not get along very well. I freeze sheets of dough, cut shapes and then bake. I never sift. Shame on me…. Outline & flood or one consistency? I try and use one consistency as much as possible. Every now and then I will make piping icing for details. Piping bags or bottles or both? Bottles 98% of the time. Bags if I need to pipe details or for lettering. Thank you so much again for inviting me to share about who I am on Sweet Talk today. 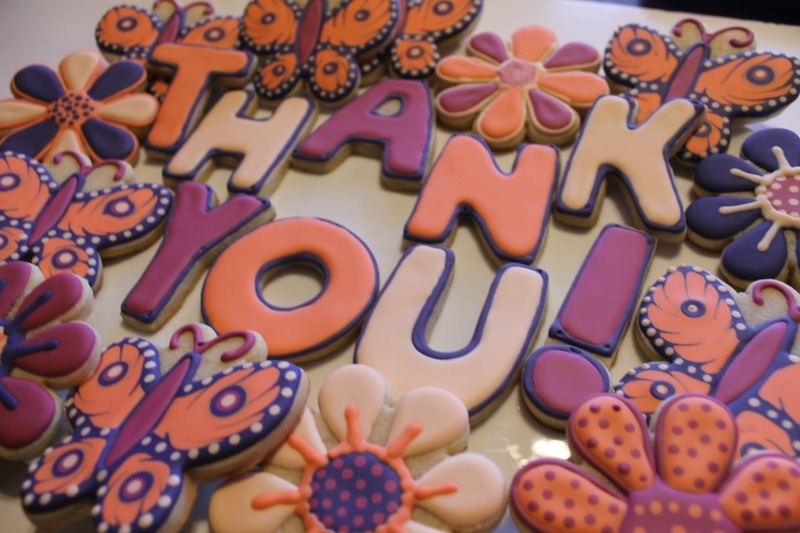 I have to say the cookie community is full of AMAZING people and I have made some great friends along this cookie journey. Thank you Nicole. It was wonderful getting to know more about you. Thanks for making me smile on Instagram and for being a friend. Hopefully we can meet in person one day. If you’ve been following the Sweet Talk interviews then you know that I would like you to visit Nicole’s Facebook page and show some love and support. Until the next Sweet Talk. Happy baking and creating friends. I think Nicole and I must be cookie “soul” sisters! I used to spend summers in Amarillo with my aunts and uncles and we both LOVE cookies! Great interview! 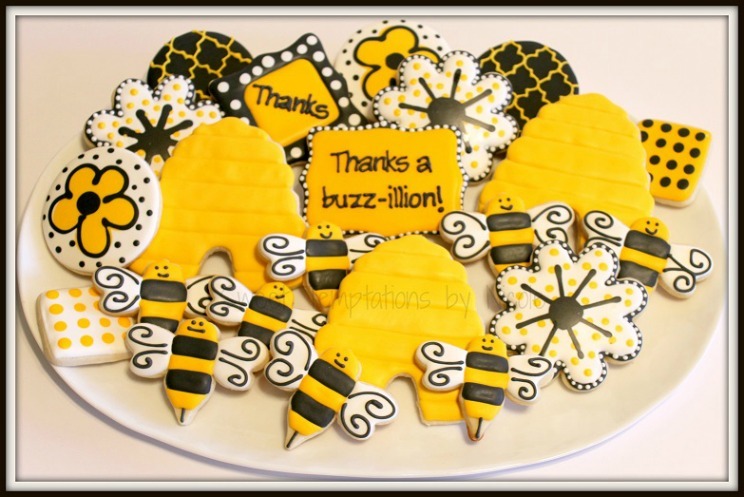 It is always so fun getting to know the people behind the awesome cookies! dates. Amethyst is usually purple and is the color of Abundance in Feng Shui. Placing items that represent helpful people and travel can encourage more of each.